Wat Ratchathiwat Ratchaworawihan is an ancient temple next to the Chao Phraya river in the Dusit district of Bangkok. The temple is a royal temple, second class. It has been associated with Thai kings throughout the Chakri dynasty making it an important Buddhist temple for Thai people. It was also the first temple to initiate the Dharmmayut Nikaya sect. 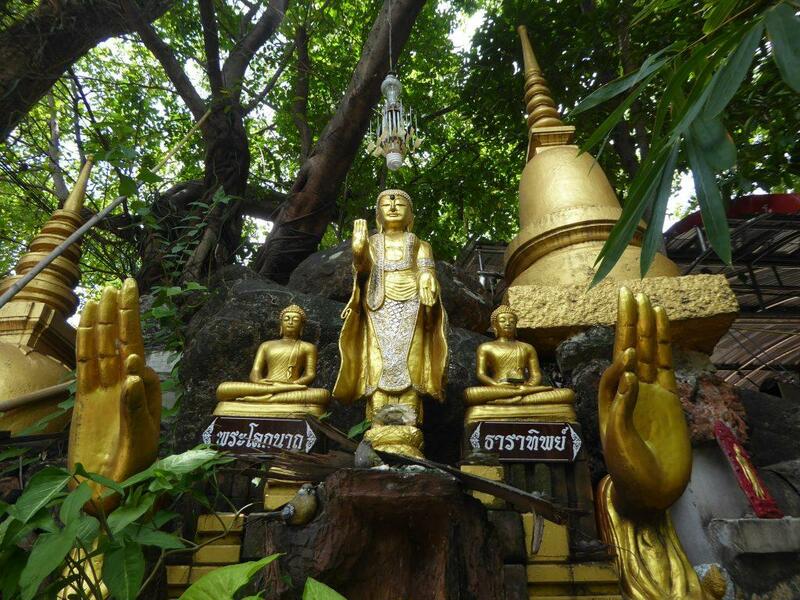 A temple was first founded on the site before the period of the Ayutthaya Kingdom. 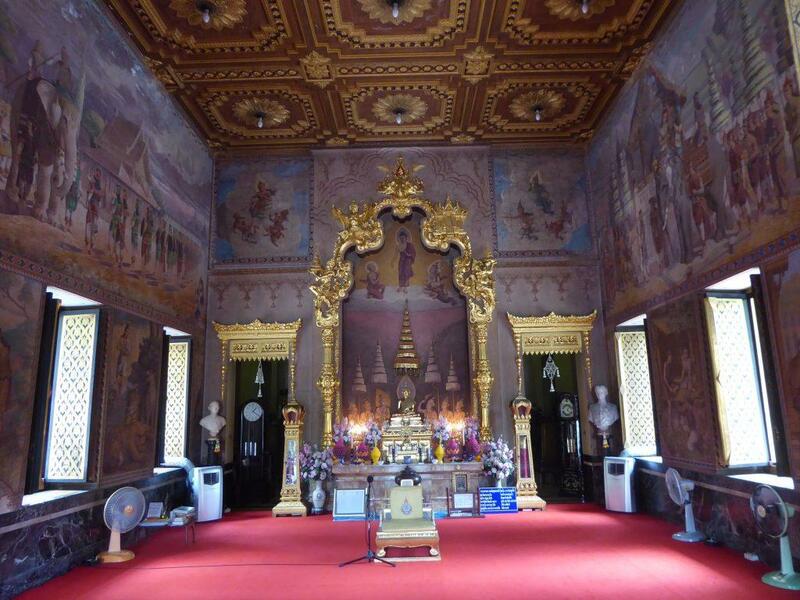 It was later re-established during the period of the Rattanakosin Kingdom in 1820 when it was known as Wat Samorai. 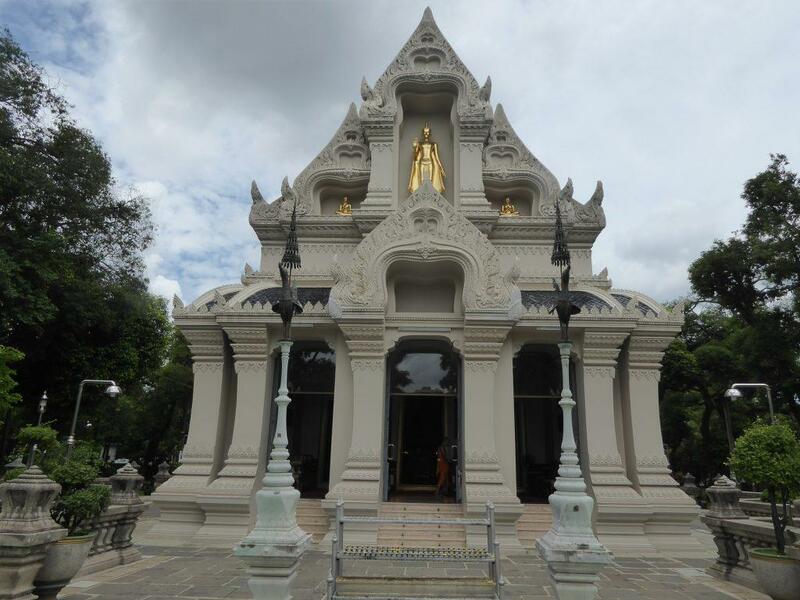 The temple was continuously restored during the reigns of King Rama I, King Rama III and King Rama IV. The latter gave the temple it’s present name which means ‘residence of the king’ in English. All three kings were ordained as monks here. 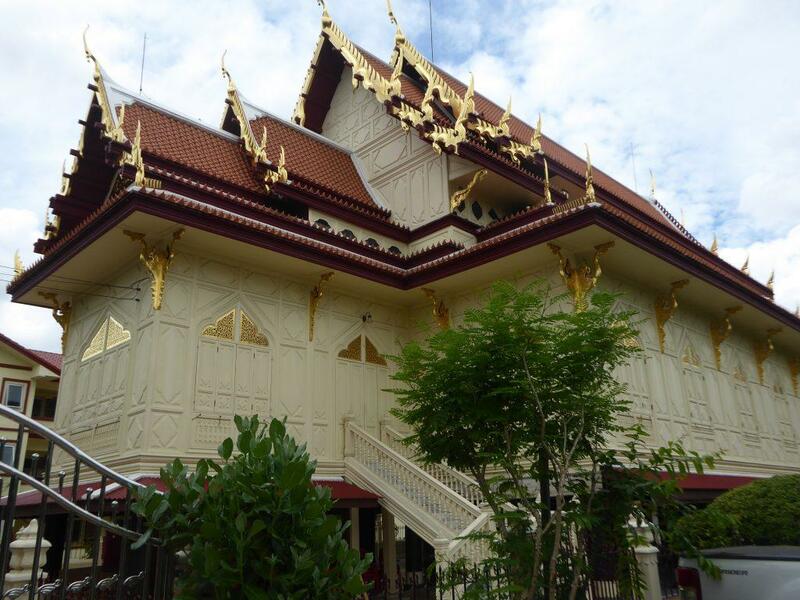 The temples distinctive architectural style is predominantly Khmer with a Khmer style ordination hall. The hall was designed by Prince Naris, a son of King Rama IV. 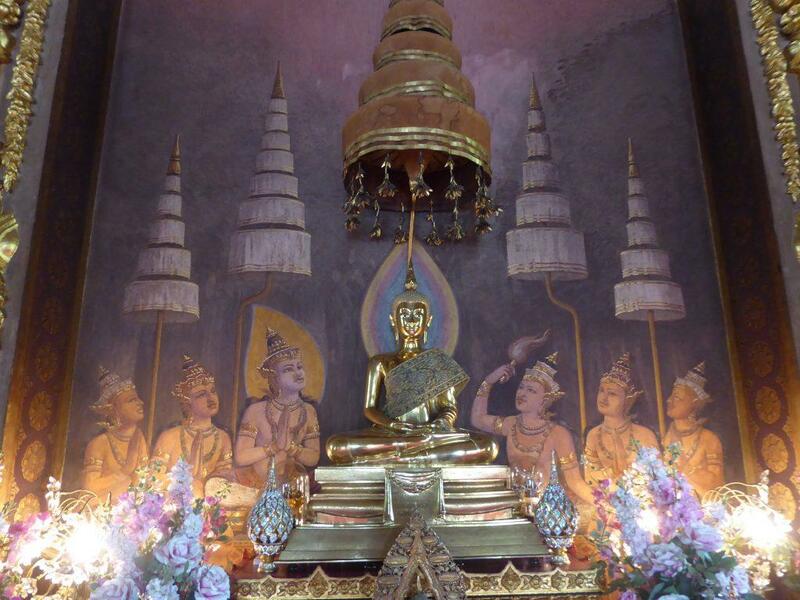 It contains the principal Buddha image Phra Somphattha Phanni. 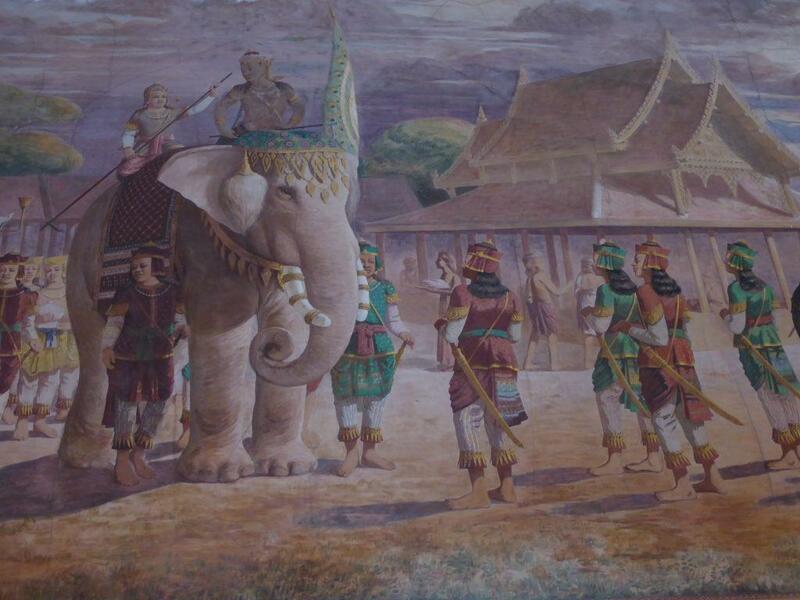 It also features beautiful murals by Italian artist Carlo Rigoli in a fresco style which is unusual in Thailand. The murals depict excerpts from the Jataka, a morally instructive story from the life of the Buddha. 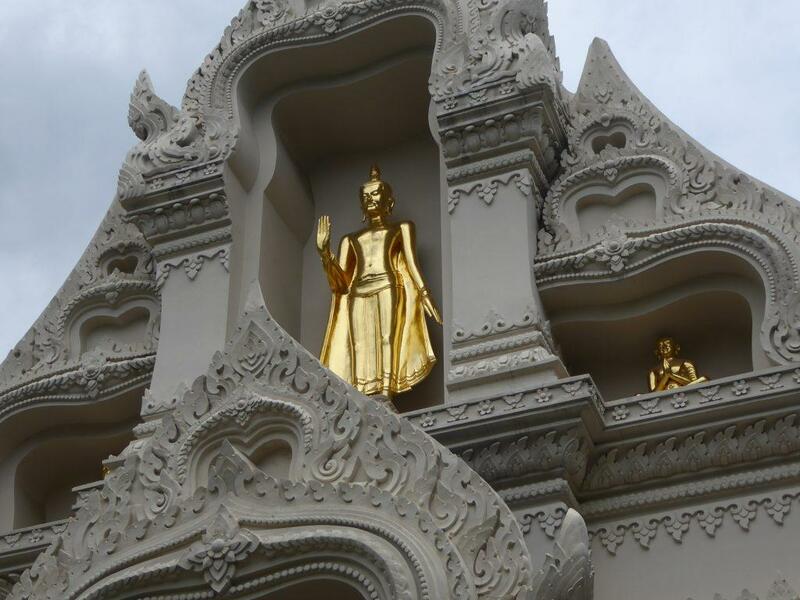 The chedi was built during the reign of King Rama IV and features four nooks each containing a Buddha image. 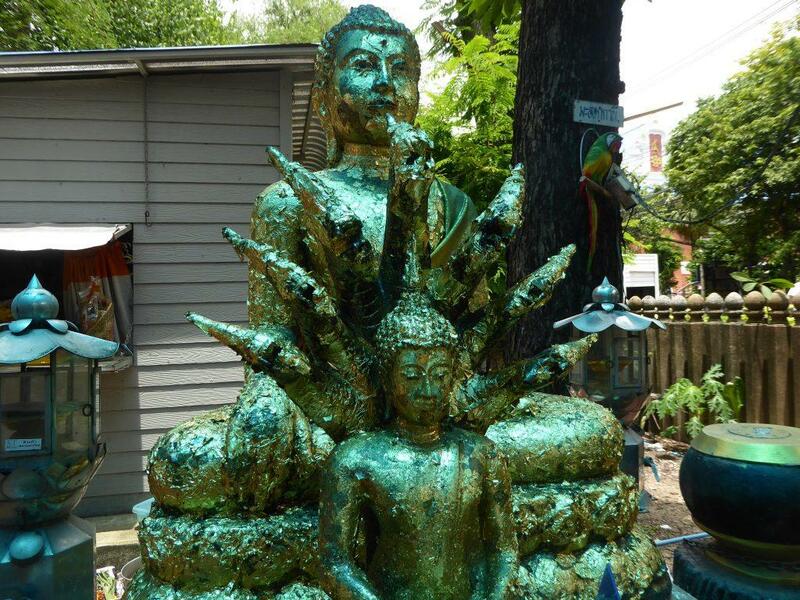 The images are placed in a cardinal direction showing a different hand posture in the Srivijaya style. 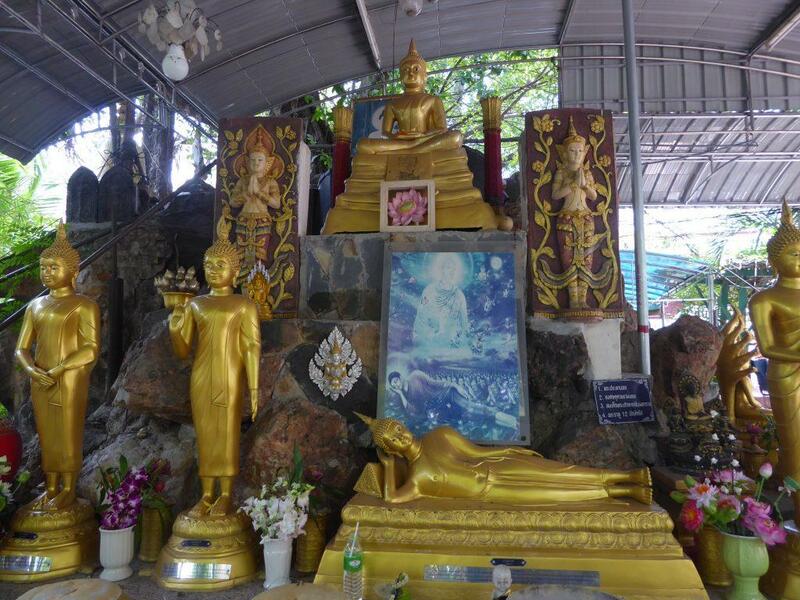 The images came from Java as a gift to King Rama V in 1896. 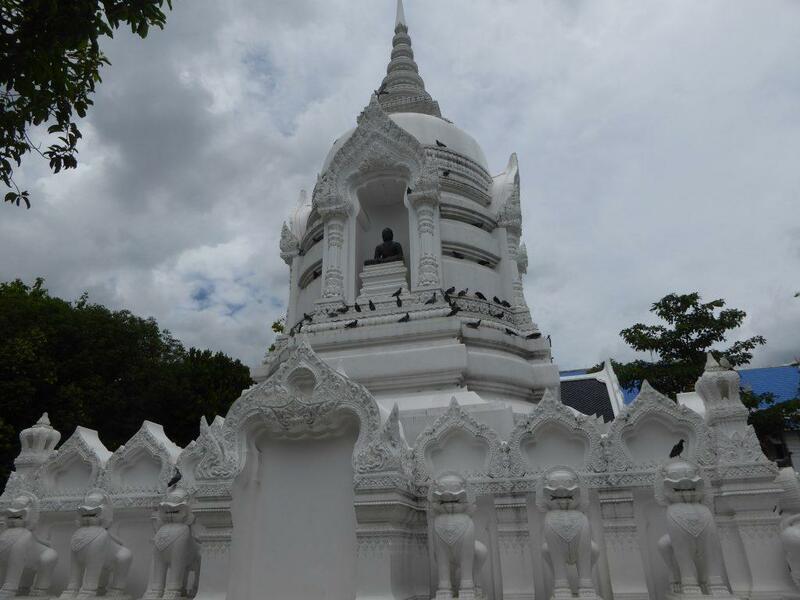 Around the base of the chedi are 30 Khmer style lion figures. Across the road and near the river is the Ayutthaya period Sala Kan Prian, a study hall made of teakwood. The building was restored and enlarged by Prince Naris. It was described at the time as being Asia’s largest and most beautiful teak building. In front of the building is a small riverside garden with seating. 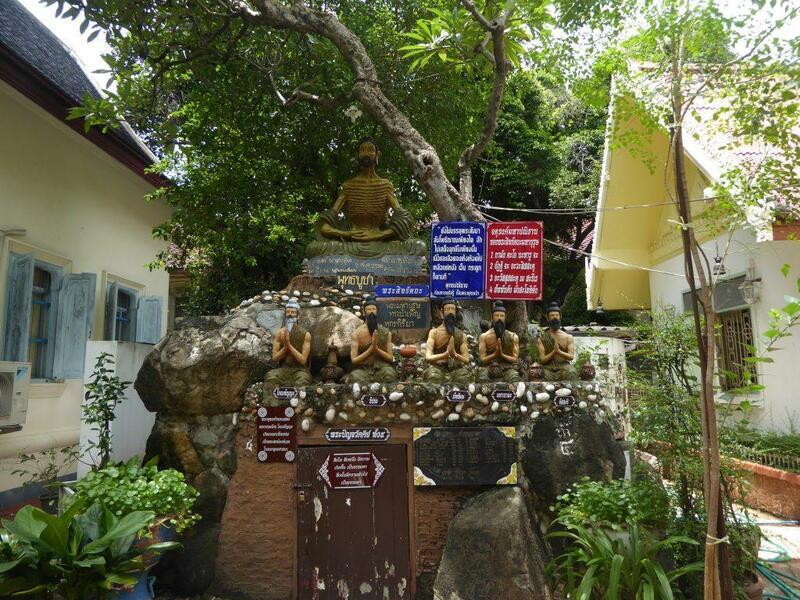 Behind the Sala is a peaceful temple courtyard garden containing many Buddha images in different poses. 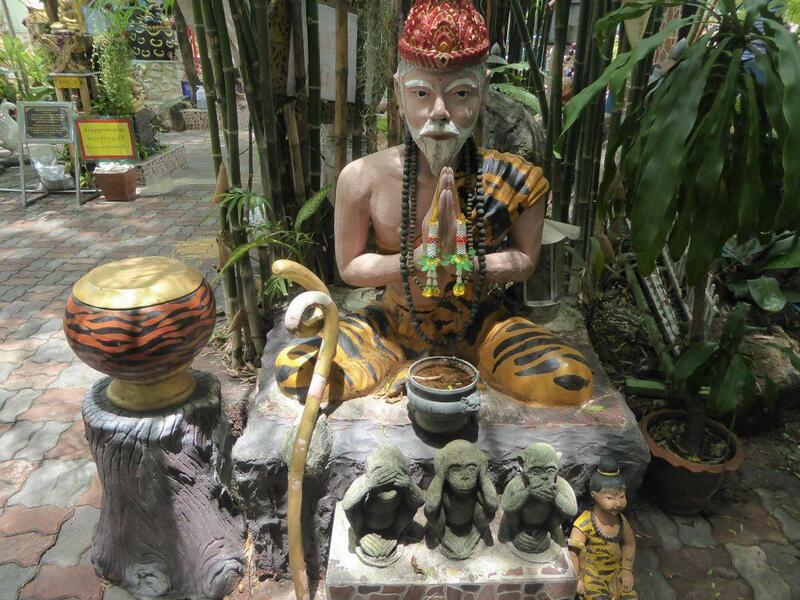 Also the hermit sage, an image of King Taksin the Great, Ganesha, a Guan Yin shrine and more. There is a small refreshment cafe in the garden where you can sit down and relax. Location: Samsen Road, Soi 9, Dusit, Bangkok. Chao Phraya Express Boat to Thewet Pier. From the pier, walk up Krung Kasem Road turning left onto Samsen Road at the intersection. Soi 9 is on the left-hand side after a 10-minute walk. Bus: Numbers 3, 9, 16, 30, 32, 33, 49, 65, 110, 505 all pass Soi 9. From Khao San take 9, 30, 32, 33, 53 or 65 from the bus stop opposite Samsen Soi 2.